I am so happy to annouce that I have once again joined the Helmar Design Team. 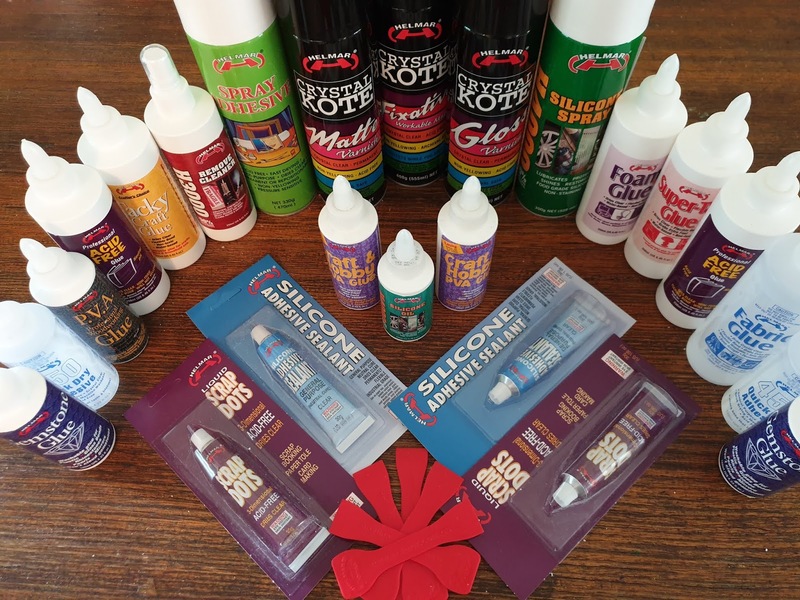 Helmar is an Australian adhesives company that also sells in other parts of the world. 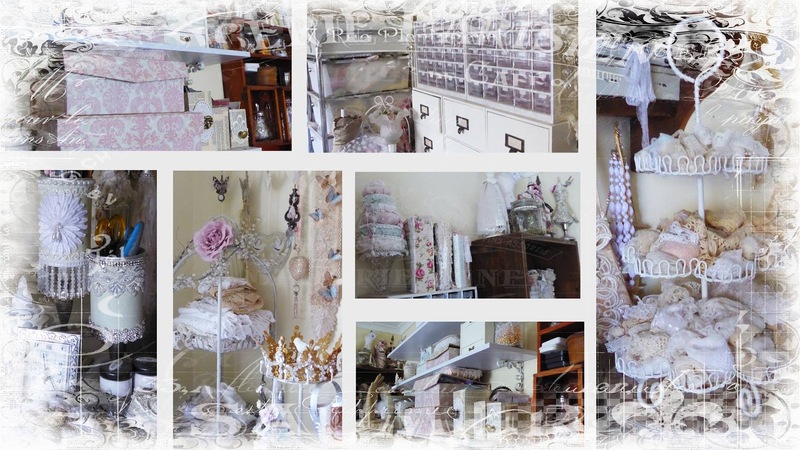 I will be designing for them for the next six months on their Blog. 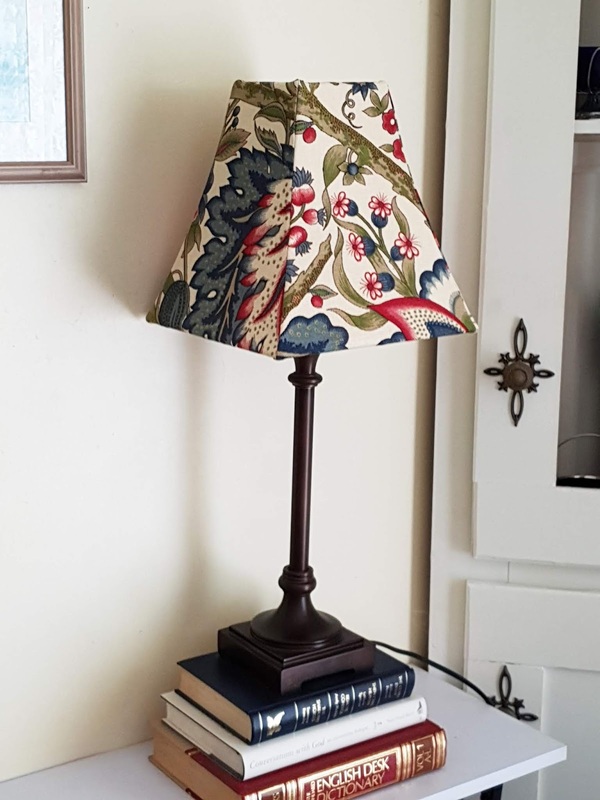 Nb: It is always important when using any type of glue to have a very well ventilated area, I have my window open and have a fan facing me at all times to ensure good circulation in my craft room. 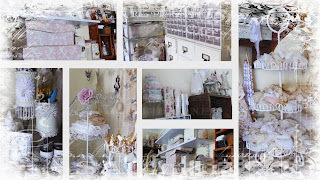 I hope you will enjoy the projects that I create for this great Company. 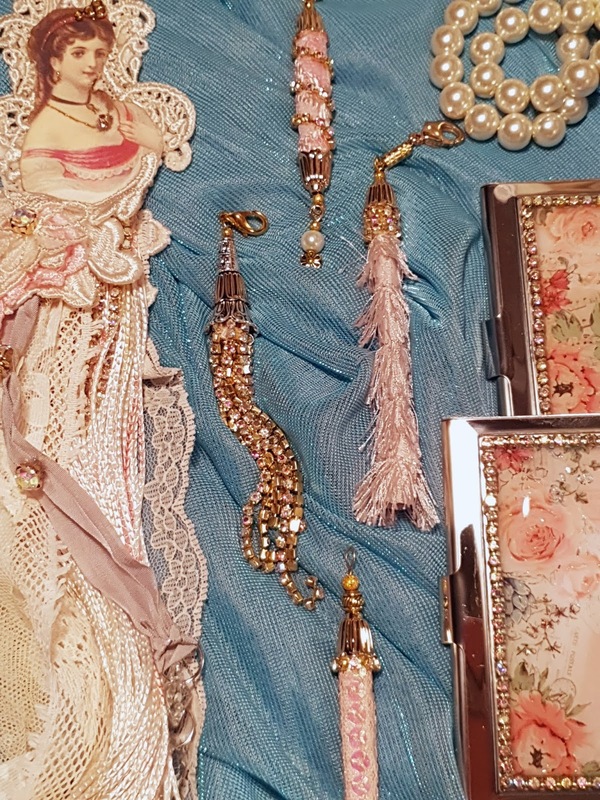 Recently I was fortunate to receive a Design Pack from Beebeecraft.com which is an online craft store focusing mainly on beads but they also have a wonderful selection of other crafting goodies as well. 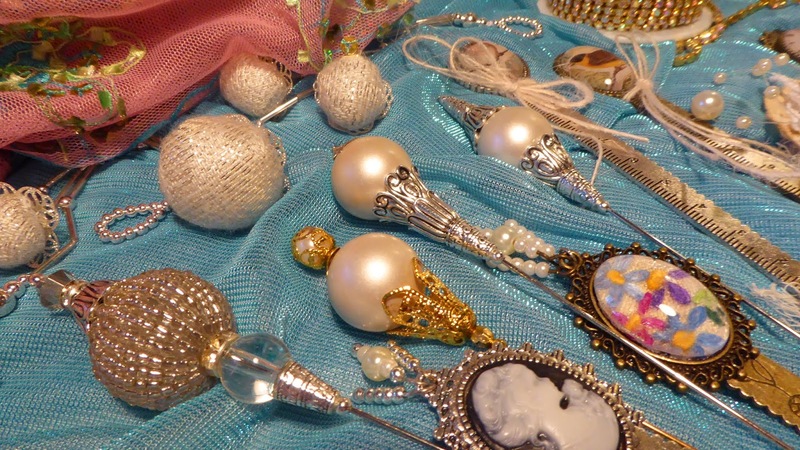 For my first projects I made some pearl embellishments using the 3mm Glass Pearl Beads, Bead Caps and the Silver Bead Spacers. As I consider myself a 'learner beader' I am very happy with the results and thoroughly enjoyed making them. 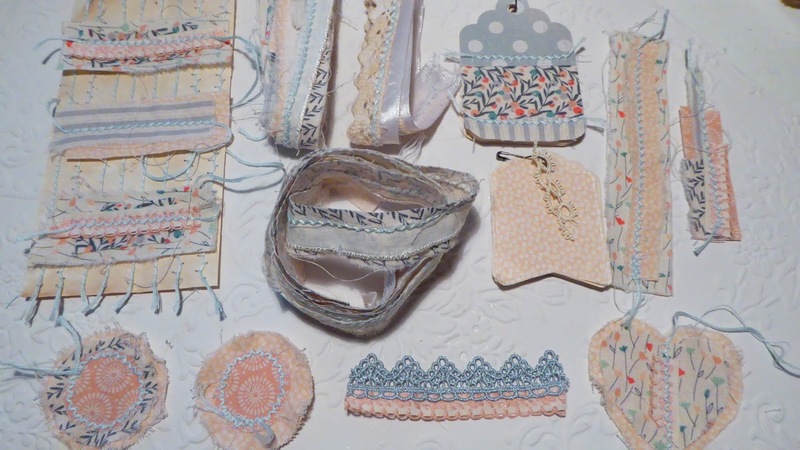 I recently received the Sizzix Fabric Bundle from CraftStash, a set of eight high quality fabrics in co-ordinating colours and patterns. Being a person who prefers the 'shabby vintage' type of look I decided to tea stain my fabrics by soaking them in a bath of black tea. 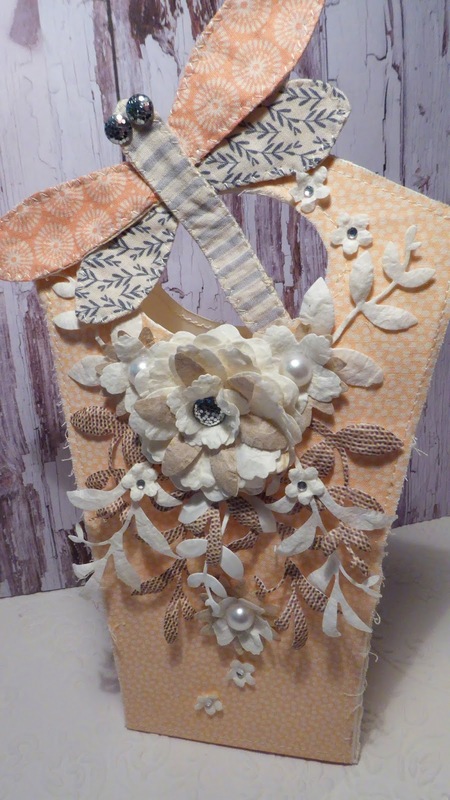 It didn't take long to achieve the look I wanted as the fabric took on the tea very quickly. 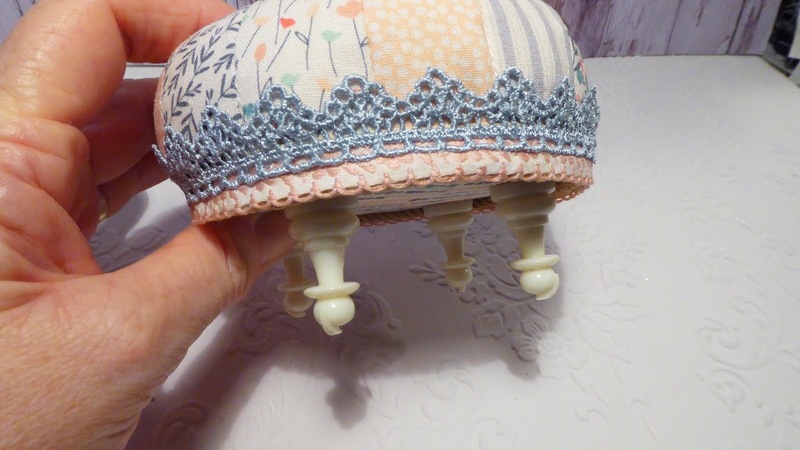 The first project I made was a 'Tuffet' style pincushion. I loosely followed an online tutorial and then adapted it to suit myself by making the 4" circular base out of several pieces of packaging cardboard to make up a good half inch thickness. 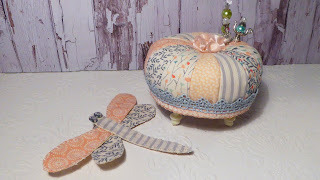 I then layered a piece of 1" circular foam, wadding and a pouch filled with emery (I didn't have walnut shells). 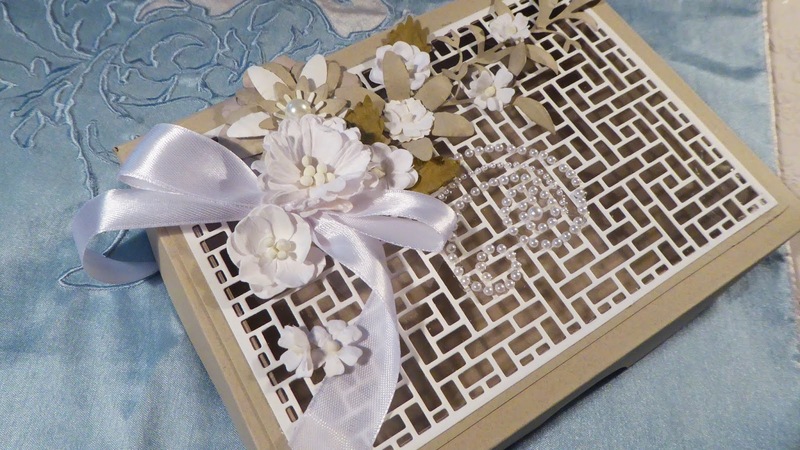 Lastly a piece of wadding was layered over the top of this 'cake' and the cover placed over it. The actual fabric was cut into 1.5" x 4.75" strips and then shaped into crayon type shapes and I used some 'pawn' chess pieces for my legs. If you watch the original video tutorial you will see how to make it all up. 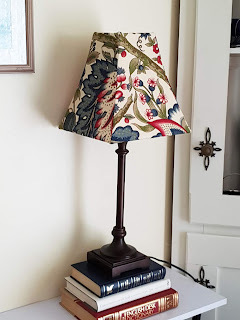 The Sizzix fabrics worked wonderfully for this project and I love how it turned out. 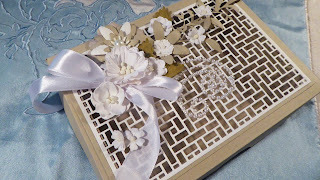 I also made a gift bag using the Tonic Studios die set, a gift box using the Cardmaking Magic die set and a journal cover for future projects. 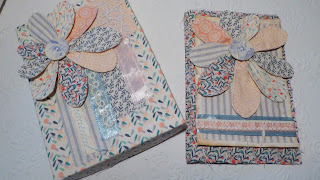 With some of the scraps and a few ribbons I made embellishments for the journal with lots of sewing involved. 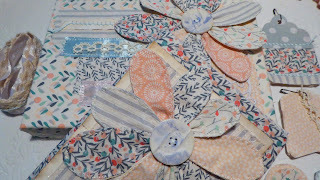 The quirky flowers were also made and a dragonfly with the leftover petals. I have thoroughly enjoyed playing with these fabrics and other products from CraftStash and I hope you have enjoyed following along and seeing what I've created. 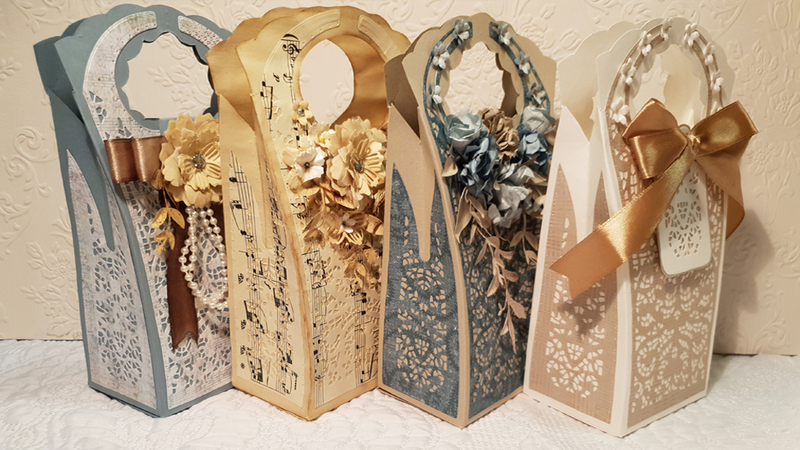 I've recently started paper crafting more and must admit that I'm really enjoying it. 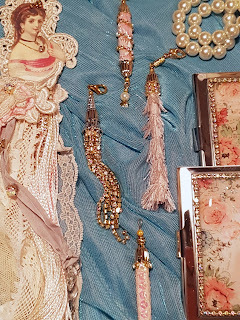 Many years ago when my son was an infant I used to scrapbook but of course over time our lives change and we venture into new areas. I've always loved paper and with the addition to my love of laces and anything shabby I'd really like to incorporate more into my crafting. Presently I am doing a few videos for a Company called 'CraftStash' who generously sent me a few of their products to try out. 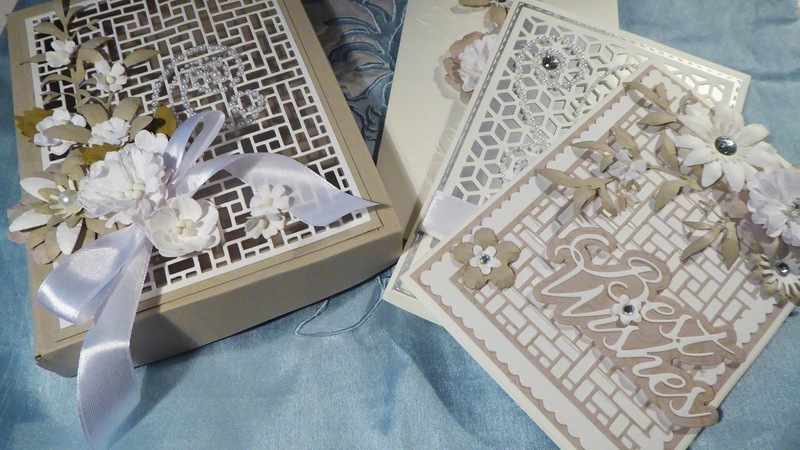 It has certainly been a fun experience and also a learning experience with the die cutting products, I've really enjoyed the process. Three were made from cardstock and one was made from a tea stained file folder (second from left). 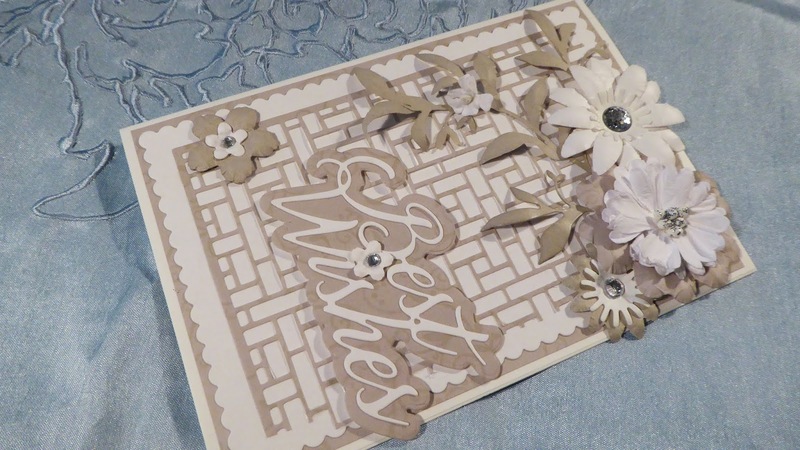 The flowers are a combination of Kaisercraft Blooms, 49 and Market and handmade flowers using the lovely 'Layered Florals' die cutting kit by Cardmaking Magic and the ribbons were also from Cardmaking Magic and are part of the Christina Collection. The next things I made were some cards and a box to house them. 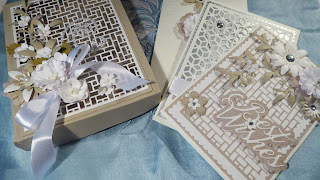 For this I used the 'The Complete 5"x7" Card Box Set which is also made to use in the larger die cutting machine so once again I hand cut this out (not a problem). I could use all the smaller components to make the box look something special as I normally would. 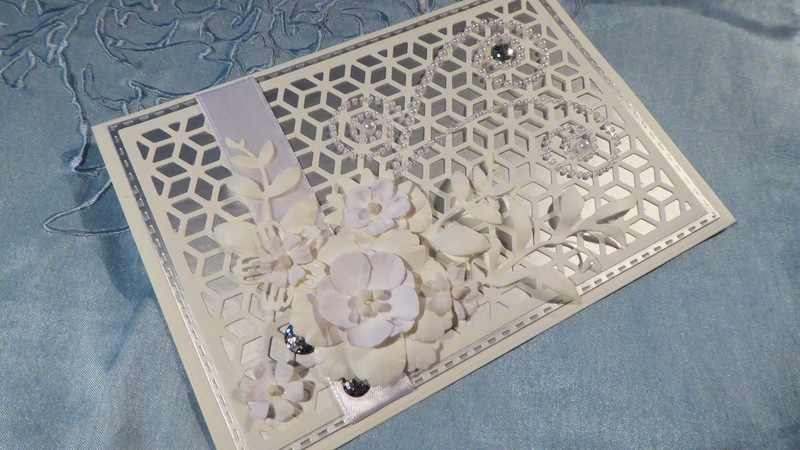 To decorate the box and the cards, I made many of the flowers using the Layered Florals dies and also added the lovely little white flowers called 'Snow' from 49 and Market. I added a little sparkle with the glittered Shimmer Dome Stickers from Papermania and once again used the white ribbon from the Christina Collection. 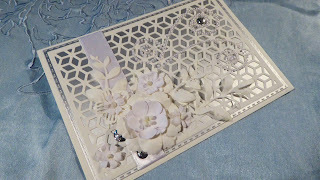 on this card above I also used the Cube Trellis Die Set by Cardmaking Magic. 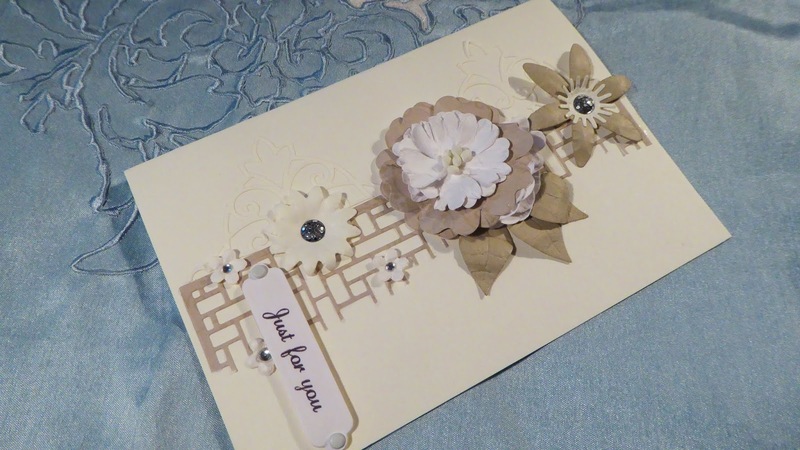 Thank you so much for stopping by and I hope you too will try your hand at cardmaking, if you don't already.